Head over to get one of these Buffalo Check Weekender Bags for ONLY $24.99 (Retail $49.99)! 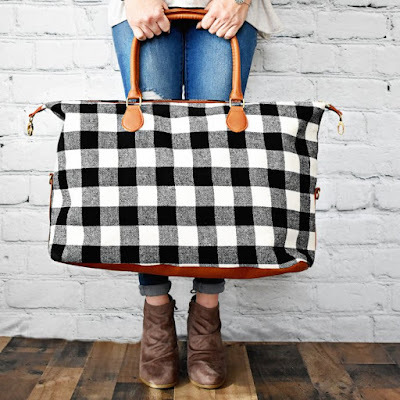 Perfect for holiday travel, this Buffalo Check Weekender is spacious enough for a change of clothes and toiletries without being too bulky. This classic winter pattern adds a pop of color to any wardrobe.